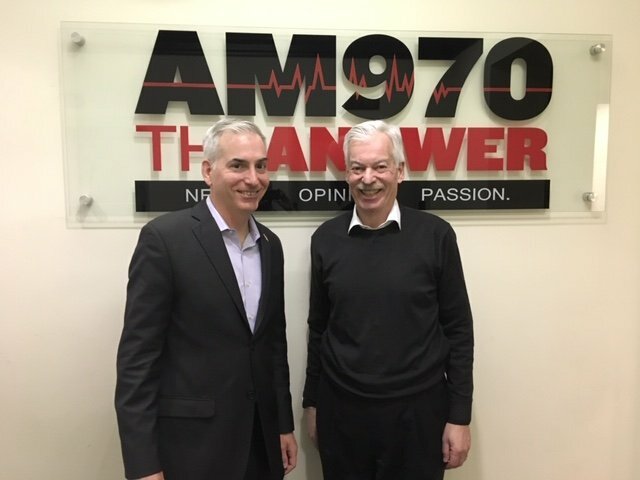 The following is a conversation between James Siegal, CEO of KaBOOM!, and Denver Frederick, Host of The Business of Giving on AM 970 The Answer WNYM in New York City. Denver: Only 1 in 4 children in the US gets the daily recommended amount of physical activity. Children are not playing… not at home, in school, or around their community. And for the 14 million kids living in poverty, well, they face additional obstacles in their attempt to play. 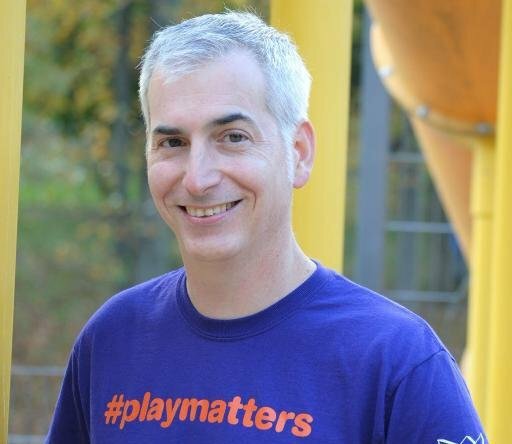 An organization dedicated to this critical issue, and with getting more kids in America playing is KaBOOM!, and it’s a pleasure to have with us tonight their chief executive officer, James Siegal. Good evening, James, and welcome to The Business of Giving. James: Thank you, Denver. It’s great to be with you. …we’ve been building playgrounds that essentially had three things in common; one is that we’re focusing on addressing inequity because we see a lot of inequity when it comes to the ability and opportunities for kids to play in this country. The second is that community has to be at the center of the change, and our role is to elevate community leadership, not to come into a community and tell them what they need, or to do for them. That started with the first playground that we built in 1995, and it continues to this day. The third is, we’re trying to transform the built environment with kids in mind – really creating places for kids and families to feel at home, to feel welcome, to feel protected, and to feel loved. Denver: KaBOOM! was founded back in 1996. How did it get started, and what is the mission of the organization? James: Our founder, Darell Hammond, was living in DC, and he wasn’t sure what he was going to do. He was reading The Washington Post and saw this article about these two kids, a brother and sister, living in Southeast DC who, in the middle of a summer heatwave in DC – you know in DC, when it gets hot, it gets hot – they went looking for a place to play in their neighborhood, couldn’t find anything, climbed into a car, got trapped inside, suffocated, and died. The Post reporter who wrote the article went out into the community to try to make sense of this tragedy, and what she found in the entire neighborhood, there was no place to play. Darell read the article and felt compelled to do something about it– not to start an organization, but to really create a situation where the community can help itself to create a better environment for the kids there. That led to the building of the first KaBOOM! playground in 1995. From there, it snowballed. Ever since, we’ve been building playgrounds that essentially have three things in common; one is that we’re focusing on addressing inequity because we see a lot of inequity when it comes to the ability and opportunities for kids to play in this country. The second is that community has to be at the center of the change, and our role is to elevate community leadership, not to come into a community and tell them what they need, or to do for them. That started with the first playground that we built in 1995, and it continues to this day. The third is, we’re trying to transform the built environment with kids in mind – really creating places for kids and families to feel at home, to feel welcome, to feel protected, and to feel loved. Denver: I suspect in your world, James, people could debate this for hours, if not days. That is: What is play? How do you define it? James: I define it really broadly. What we’re looking for is for kids to get a balance of all types of play. We’re not necessarily against technology, but there’s got to be a balance in kids’ lives. For us, play means that kids are active physically, because we all know the benefits of running and jumping and skipping and hopping and swinging. But it also means making sure that kids have social and emotional connections through the way they play with each other, and the way that they have interactions with caring adults in their lives. It’s also how kids really nurture their creative and cognitive skills. You could see kids solving problems, understanding what it means to collaborate, figuring out how to create new worlds in their minds that they just explore with others or by themselves. All of those things are play, whether it happens on the playground, whether it’s team sports, whether it’s something more dramatic. All of those things constitute play, and at the heart, it’s what kids are hardwired to do. The research shows that play is absolutely critical to early childhood development on a number of fronts…When kids are facing adversity, you need to protect them from that; otherwise, they’re going to be at risk of toxic stress which fundamentally alters the development of the growing brain. Play has been shown to be one of those things that lowers stress levels, which can help protect kids from the worst effects that toxic stress can cause. Denver: Speak about that a little bit more – the importance of play. Because I think for a lot of people, it’s a nice thing to have, but it’s not something that we need to have. What does the research show around that? James: The research shows that play is absolutely critical to early childhood development on a number of fronts; that kids learn through play, so that their brains are expanding, that it’s clearly linked to physical health, and it’s also a key part of social and emotional well-being. I think that for the communities where we’re working where kids are facing a lot of adversity, the importance of play takes on added significance. When kids are facing adversity, you need to protect them from that; otherwise, they’re going to be at risk of toxic stress, which fundamentally alters the development of the growing brain. Play has been shown to be one of those things that lowers stress levels, which can help protect kids from the worst effects that toxic stress can cause. Denver: What are some of the barriers that get in the way of children playing? James: There’s a range of barriers. Again, it breaks down differently depending on which communities you’re talking about. In the communities we work in, concerns about neighborhood safety are at the top of the list. I would say across the board, when you’re looking at play, it’s not something that has these natural moments during the day where you’re forced to think about it. If you think about other things like nutrition – we worked with behavioral scientists to help come to these insights – ideas42, which is just a terrific organization that really uses behavioral science to address social challenges that scale. We worked with them, and what they said to us was that, “If you think about something like nutrition, there are natural moments, like going to the grocery story, going out to eat, or opening up the refrigerator at home, where you’re confronted with a choice on food – healthy or unhealthy options – the behavioral scientist can take those moments and default you to the healthy option. But when it comes to play, there are not these natural moments where you’re forced to think about play for your kids. You could go through the whole day without even thinking about it. Even if you do think about it, there are all these hassle factors that get in the way. If you think about what it takes to get a kid to the local park, it may seem to you that it’s only a short walk away. But when you have kids in tow, you’re thinking about: Do I have the right supplies with me? Is the kid dressed appropriately? Is there a safe route to get there? Then, key barrier number one, which I’ve experienced as a parent… when you get there: Is there a clean restroom to use when someone inevitably has an emergency? So, all those things… all those things add up and make it too easy for parents or other caregivers to just say, “Sorry, now is not the time for that.” Tomorrow comes around, and it doesn’t happen. For us, the enemy of free play is not kids playing structured sports. The enemy is sitting on the couch and doing nothing. I like to think of it as: kids need all of it. We’re in a deficit situation. Instead of fighting about what’s the best form of play, let’s make sure we expose kids to the opportunity for all forms of play. Denver: What are your thoughts about adult-directed play and children-directed play? James: I think there’s an important role for both. Again, it’s all about balance. For me, when I was growing up, and I had the opportunity to just play freely by myself or with my brother, and those were magical moments where we could create imaginary worlds and really explore our creative sides and do what we felt was the most fun to do at the moment. And at the same time, I participated in team sports, and the relationship with coaches is really critical, and how you participate in a team environment is really critical. For us, the enemy of free play is not kids playing structured sports. The enemy is sitting on the couch and doing nothing. I like to think of it as: kids need all of it. We’re in a deficit situation. Instead of fighting about what’s the best form of play, let’s make sure we expose kids to the opportunity for all forms of play. It culminates with the community coming together, a couple of hundred volunteers, to build the playground in a single day, in six hours. So, that’s the barnraising part of it. In this particular case, the boy from Design Day was onsite, helping out where he could. He couldn’t be in the mix where we were putting up the structure, but he’s helping around the edges, and he saw the playground coming to life. He was like, “That’s my volcano.” You create that sense of ownership from the very young, all the way up through the adults in the community when they’re a critical part of making sure that community improvement is for them, and by them, and responsive to their needs. Denver: As we’ve been talking about, KaBOOM! is probably best known for building playgrounds in underserved communities, and you’ve built something north of 3,100. Congratulations on that! This is quite the enterprise. How you go about that, I find to be remarkable. Walk us through that process. James: Sure. You can think of it as like a modern, urban barnraising for kids. The way we work is that we partner with the local community in need of a play space, and we start the design process with the kids in the community. So, the kids are telling us what their dream playground would look like, and we use their work as inspiration to actually design the playgrounds that we then help build with the community. We just built a playground about a year ago here in New York City, in Queens, with the New York City Housing Authority, and a young boy showed up for Design Day, and we gave him a big piece of paper and magic marker and crayons. He drew a volcano. We worked with our playground manufacturing partner to come up with a design that was very reminiscent of a volcano. It’s got a circular platform at the top, with slides and climbing structures coming out from every which way. It culminates with the community coming together, a couple of hundred volunteers, to build the playground in a single day, in six hours. So, that’s the barnraising part of it. In this particular case, the boy from Design Day was onsite, helping out where he could. He couldn’t be in the mix where we were putting up the structure, but he’s helping around the edges, and he saw the playground coming to life. He was like, “That’s my volcano.” You create that sense of ownership from the very young, all the way up through the adults in the community when they’re a critical part of making sure that community improvement is for them, and by them, and responsive to their needs. Denver: What are some of the considerations you have when you’re building a playground around vandalism, sustainability, and all those kinds of issues? James: There are a couple of strategies we use. I think realistically, the community building piece is absolutely critical and the primary driver for our work, because if there is community ownership, it’s much more likely it to be taken care of. So, we had an example several years ago outside of Philadelphia where there was a community; and across the street, there was a woman who lived there. She didn’t have any kids in the community, but she came out, and she volunteered every single day prepping for the building of the playground. She was onsite building it. She happened to be a nurse’s assistant and only got paid when she worked. The day after the playground was installed, some folks in the community spray painted the playground, and she took a day off work, and she cleaned it up herself, which meant that she didn’t get paid that day. The next day, they spray painted again. Again, she took off a day from work, didn’t get paid and cleaned it up and it hasn’t been touched since. It’s showing that this is something that the community values. They’re owners, and they’re taking care of it. That’s a critical component to it. There are also design elements that you can make sure are part of the process. Thinking about the materials that are used – steel– metal is much more durable than other materials. If there is a high risk or concern around vandalism in a particular play space, we can use certain materials. Beyond safety, environmental concerns, playgrounds are actually a great way to recapture parking lots, blacktop, and create a place where there is a porous surface for stormwater management. There are multiple benefits from the playgrounds. It may be a sad commentary on the times we live in, but when the kids saw it, they didn’t know how to play hopscotch. But what happened was, the grandparents in the community came out and showed them how to play. And all of a sudden, there’s this active intergenerational space that’s activating the space in a way that transforms it from an eyesore with safety issues into a community hub with paint on the ground. Denver: KaBOOM! also wants to bring play to those everyday, mundane, ordinary places so kids can “play everywhere.” What are some of the examples of turning these ho-hum areas into outlets for play? James: It’s been a really exciting few years for us, and it started from the ideas42 research that I mentioned. What we found was that if we really wanted to overcome those behavioral roadblocks to kids playing, we had to go where they were. The research shows that kids who are growing up in under-resourced communities are much more likely than their more affluent peers to be spending time running errands and doing chores with adults in their lives, because there are fewer alternatives to that. So, we took that, and then we turned the question back to ideas42 and said, “Okay, what can cities do to help overcome these barriers?” They had a very simple, but very profound answer, which is, that you’ve got to integrate the opportunities to play in these everyday moments for kids and families. That set us out looking for… it’s so simple. Someone must be doing this already. At the time, you can count on one hand the examples in the US of cities who are taking that step – of trying to integrate play into the built environment in these everyday spaces. When we saw that there weren’t great examples, we said, “…actually we could help create that.” We put together an amazing collaboration – private sector, philanthropic, government – with the help of the Robert Wood Johnson Foundation, Target, Housing and Urban Development, and the NEA; we created a national competition to get the best ideas from all over the country on how to integrate play into these everyday spaces. We didn’t know what to expect. We got over a thousand applications. We picked 50 winners who implemented projects that we couldn’t have thought of on our own. Just to give a couple of examples. In Detroit, in the Brightmoor neighborhood of Detroit, there was an area near a school where there was a broken up sidewalk that was just really unsafe and dangerous. They converted the sidewalk into a running track with a solar powered speedometer so the kids can see how fast they were running. All of a sudden, you’ve not only created an opportunity for kids to play, but you’ve also solved the problem for the adults in the community by getting kids to school faster. That was just a really terrific project. In Miami, the community engagement department within the City of Miami had identified a challenge with safety at dead-end streets within the City of Miami, and they selected a handful of those streets, and they partnered with local artists… like hyper-local, from that specific community to draw these incredibly playful murals on the ground in those dead-end areas. The change has just been dramatic. There’s one that is the most beautiful graffiti art I’ve ever seen, and it embeds things like hopscotch. It may be a sad commentary on the times we live in, but when the kids saw it, they didn’t know how to play hopscotch. But what happened was, the grandparents in the community came out and showed them how to play, and all of a sudden, there’s this active intergenerational space that’s activating the space in a way that transforms it from an eyesore with safety issues into a community hub with paint on the ground. I like to think of those young adults who are coming back to cities in droves as pre-parents, and if cities don’t get ahead of that in their planning, they’re going to have the same outflow from cities as they’ve seen for decades and decades… that once kids reach a certain age, the parents are going to move out in search of better schools, better places to play, better quality of life. Denver: Since you brought up cities, let me ask you a little bit about that because when I think about urban planning, it seems like everything, from what I see and read, is directed to young, millennial, singles because cities want to attract young talent so business will stay there, and businesses will move there. Families are an afterthought, if even that. Would that be the case? James: I like to think of those young adults who are coming back to cities in droves as pre-parents, and if cities don’t get ahead of that in their planning, they’re going to have the same outflow from cities as they’ve seen for decades and decades… that once kids reach a certain age, the parents are going to move out in search of better schools, better places to play, better quality of life. With all of that in mind, we’ve seen starts of communities that are focused much more on ensuring that where they’re focusing on urban planning, it’s ensuring that kids and families are taken care of and prioritized. There’s a terrific example in Detroit that’s just getting underway now, where they identified a particular neighborhood in Detroit that has the highest concentration of kids growing up in poverty in Detroit. They’re going through a planning process to design the most child-centric neighborhood in Detroit. That involves everything from great places to play; and we were grateful to be involved in building a really terrific destination-style playground in the center of this neighborhood this past Fall. But it’s also housing, schools, healthcare, all those things, but using a kid and family lens on it to create an environment where kids can thrive and families want to be. Denver: How do you go about evaluating your work and measuring the impact that you’re having on these communities and in these children? James: There are two primary drivers for our work when it comes to outcomes. One is obviously, the benefit for kids. We know that the academic research exists in droves that if kids play more, they are more likely to be physically healthy, socially and emotionally well, cognitive development and creative. Our goal on that front is to ensure that kids play as much as possible by making it as easy as possible for them to play. That’s then also linked to community outcomes, and what we see from the way we go about doing our work, and because we’re prioritizing kids through our work, that our effort can help lead to community-level outcomes around social cohesion, community connection, neighborhood pride, neighborhood safety. And what we do is we work with communities to define what outcomes are most important to them; and we work with our other stakeholders to define what’s most important to them because play and the way we create play opportunities can contribute to so much. That work is evolving for us now because going back to the story of our first playground, we built our 3,000th playground in the Fall of 2017. We built it about a mile from where the first playground was, down in Southeast Washington. On the one hand, it’s this positive celebration of feeling… like our organization had come full circle, but it accomplished so much building 3,000 play spaces for kids, that served millions of kids across the country. And at the same time, it forced us to take a step back and say: the same community that we worked in 20 years ago is facing very similar challenges now. It’s just experienced two more decades of disinvestment. And when you look at the demographics of the community, it’s not surprising that you’ve got a predominantly African-American community that continues to be cut off from that type of investment– from government, from private industry and so forth. Denver: Tell us a little bit about that work, because I know you recently hired a VP of Talent, Diversity, Equity, and Inclusion; and you know every organization is frustrated at the slow pace of progress they’re having within their own institution. What are some of the things you’re doing that seem to be effective? James: I think there’s been a progression. It started with…not just nonprofits, but corporations and others focused on diversity, that’s where you start. And then inclusion became the focus a decade or so ago. Everyone’s starting to make some progress on that. But without equity as part of the equation, you don’t know whether it’s linked to the outcomes of your work as a mission-driven organization. That’s the toughest one of all. You have to have a focus on diversity. You have to have a focus on inclusion. But those two things alone are not sufficient. For us, hiring someone who has equity as part of their portfolio is important for our own internal practices, but it’s also everyone in the organization’s responsibility. Right now, as we dive deeper into building partnerships with city agencies like public housing, like schools, and so forth, what we’re trying to do is match two levels of outcomes in every single case. We want to make sure that we’re closing the gap on access to opportunities to play, and making sure we’re improving access for all, but closing the racial equity gap in the process. That links to community-level outcome, whether it’s health-related, or it’s community cohesion or something like, where again, we’re trying to close the gap of racial equity while at the same time improving for all. There’s a great article that we’ve learned a lot from in the Stanford Social Innovation Review called the “Curb-Cut Effect,” where when you do work of this kind, it benefits everyone; but if it’s not closing the gap, you actually could be unintentionally making things worse as you’re doing your work. And we’re trying to be intentional about closing the gap as we make improvements. We’ve had the benefit of working with really terrific partners because we’re not experts in this. So, we’ve worked with the Racial Equity Institute to do basic foundational training for all of our staff, to ensure that they were grounded in the history of inequity in our country. And we’ve been working with JustPartners to do a full audit of our practices and policies internally, so that we can shift how we do our work in order to achieve the best outcomes for our work. Denver: A lot of unconscious bias that we’re not aware of at all. Speaking of partners, talk about some of your funding partners and how you get to do all this work. James: We’re blessed with amazing partners. Historically, over 90% of our funding has come from the corporate world. A lot of that is tied to two things; one is the outcomes that we’re shooting for, and corporations may be interested in either community economic development where their headquarters is,… childhood health and well-being and so forth. Then it’s also an avenue for corporations to engage their employees directly in the work and come out and actually roll up their sleeves and have this cathartic experience– six hours going from nothing to a beautiful new playground. There are very few opportunities to feel like you’ve made such a meaningful difference in such a short amount of time. We’ve had the benefit over our 23-year history of having just amazing corporate partners. More recently, as we’ve tilted both toward expanding and deepening our work with city agencies, and have moved to expand what we do… So, playgrounds that historically have been small, pocket-park-type playgrounds– “Play Everywhere,” which we’ve discussed–we’re building more innovative destination-style playgrounds now. We’re building sports courts, adventure courses, which let older kids unleash their inner ninja. All of these things are attracting a different type of funding partner for our organization, much more aligned with what philanthropy is looking to do in communities. Our portfolio of funders, as we’re growing, is shifting with more and more foundation partners and some government money as well. That’s an exciting time. It’s a work in progress. We’re trying to figure it all out. Bringing all the sectors together to drive larger scale changes, I think the opportunity in front of us… that’s where we need to be. Denver: Absolutely. Stressful too at the same time, I’m sure. You also advocate for play, and among those objectives is to make the importance of play part of the national conversation. What are some of the things you’re doing to make that happen? James: At our heart – we’re not an advocacy organization. We’re not a lobbying shop or anything like that. We lend our voice where we feel it could be useful. 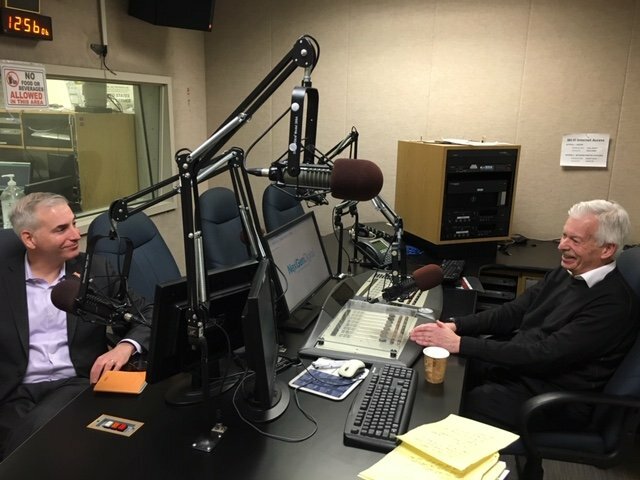 I think one of the areas that’s most interesting to us now because we are at our heart an infrastructure organization, is how the debate nationally around infrastructure spending is framed; because it’s very easy to frame it narrowly, – on bridges, roads, and tunnels, which are critically important. And from being a native New Yorker, I understand how particularly important are tunnels and bridges. But at the same time, infrastructure needs to contribute to quality of life more broadly. If we can help shift the debate around infrastructure spending, so it’s got that broader lens and encompasses things like great community space and green space and places for kids to play, we can create more value and get the same benefits when it comes to helping communities develop and all that – that you would get from a more narrow look at infrastructure as well. The solution is not just parental limits on screen use. It’s a fool’s errand. Kids are smarter than us, and they will always find the ways to get around that. But if we can create a compelling alternative, I’m optimistic that that will get kids active, and we’ll reduce the demand for technology. Denver: Let me close with this, James. We touched on this just a little bit earlier, but it is such an important issue, and that is the addictive nature of our devices. I was reading the other day that the average 8- to 18-year-old spends over seven hours a day looking at a screen, which doesn’t give you much time for play, much less anything else. How do you think we as a society need to address that? And what advice might you have for some parents? James: I feel it in my own life. I have three girls: 9, 11, and 13. We’ve resisted the urge to give our kids smartphones because of the concerns around social media and all the challenges with how they’d spend their time… and the potential for isolation and bullying and all that. It’s hard because other kids their age have that and… at the same time in my professional life, I see the dynamic in the communities we’re working in. Technology is still ubiquitous. It’s addressing a different type of challenge because in many of the communities we’re working in, the safest place for kids to be is at home on the couch in front of a screen rather than out in the neighborhood. That’s different from kids in more affluent areas who have the benefit of every device, and they’re choosing to do that over other things because we made it as easy as possible, and it does have that addictive element to it. Again, I’m not against technology. Our organization is not against technology. We’ve got to restore balance in kids’ lives. The way to do it is to make it as easy as possible. We did some consumer research, including consumer research directly to kids, and we asked them a question about what they would prefer to do. Would they rather play a video game or go on a super slide or a zip line? Overwhelmingly, kids say, super slide or zip line. It’s not kids that are getting in the way of this instinct to play actively. We’re not making it easy enough for them to do that. I think if we can focus on how we can make it as easy as possible for kids to be active, we’re going to get to a better result as a society, because there’s got to be an alternative. The solution is not just parental limits on screen use. It’s a fool’s errand. Kids are smarter than us, and they will always find the ways to get around that. But if we can create a compelling alternative, I’m optimistic that that will get kids active, and we’ll reduce the demand for technology. I think technology has a powerful role to play in being part of the solution. How we can use technology to create and facilitate physical active play, I think is an area that we need to go in as a society so that we don’t give up the benefit of the technology, but we direct it in a way that’s productive. Denver: James Siegal, the chief executive officer of KaBOOM!, I want to thank you so much for being here this evening. For those listeners who want to learn more about KaBOOM! or become involved in some ways, either as a volunteer or a donor, tell us about your website and what you have there for them. James: You can go to kaboom.org, and you can see opportunities to engage and help us find communities all over the country in need of great places for their kids to play. Denver: Thanks James. It was a real pleasure to have you on the show. James: Thank you so much, Denver.